Posted on02. Jan, 2008 by George. Posted on20. Dec, 2007 by George. Posted on11. Aug, 2007 by George. Posted on03. Jun, 2007 by George. 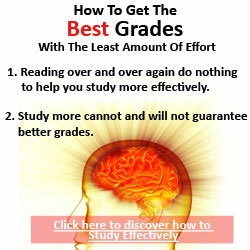 © 2007 How To Study Effectively & How To Get Good Grades. All Rights Reserved. Download Your Copy Of "20 Days Left To Exams"! 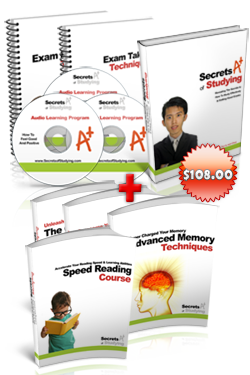 In this report, you will discover exactly how to study and what to study if you have only 20 days left before your exams! How To Stop Your Panic & Pass Your Exams!